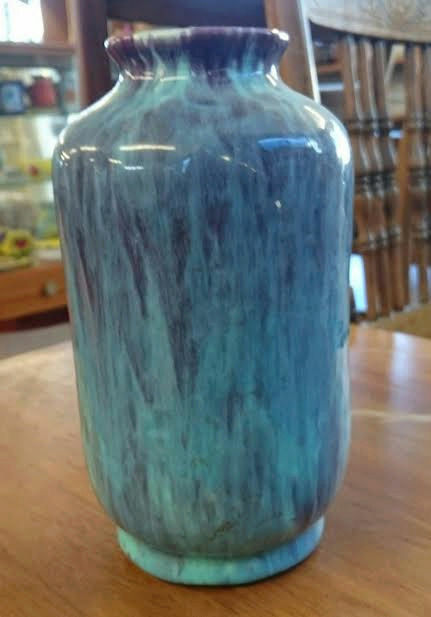 ruskin - Blue Purple Glaze Vase .... is this the so called Ruskin ware? 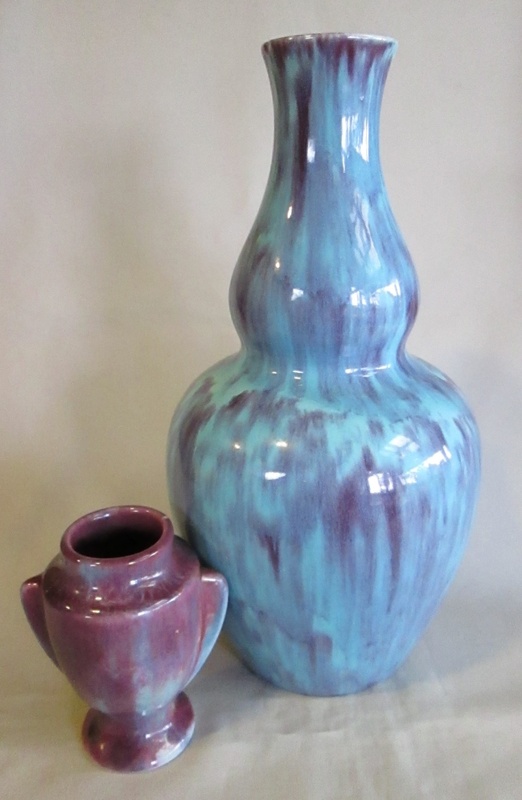 Blue Purple Glaze Vase .... is this the so called Ruskin ware? 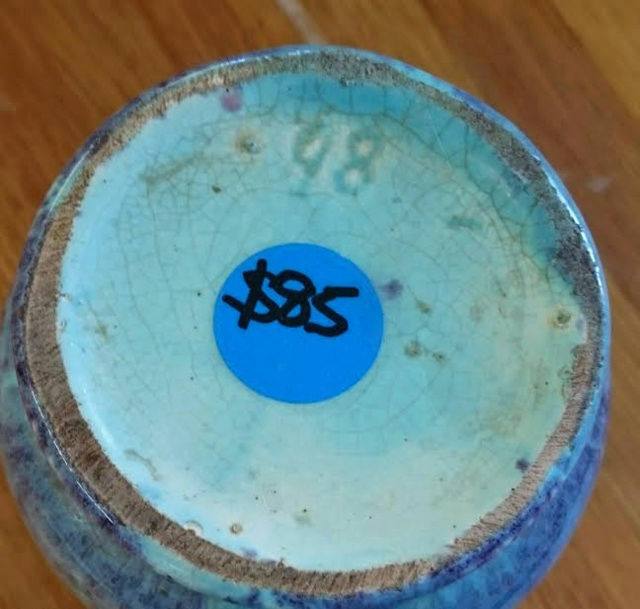 Big 27cmh with beautiful glaze that looks CL but the number & shape are not right..
Re: Blue Purple Glaze Vase .... is this the so called Ruskin ware? Early Teal? 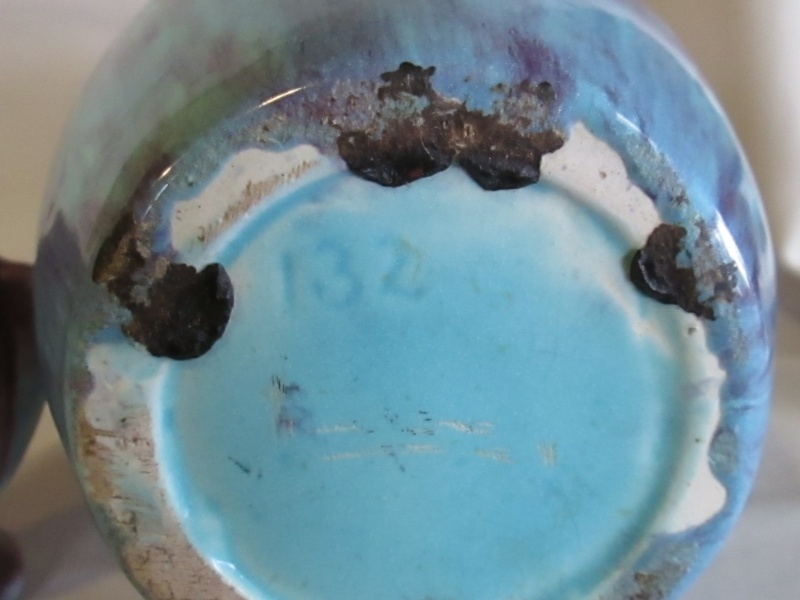 I have a little pot with a similar blue glaze? Ooooo Kat these pots intrigue me with their stunning blues/purples amazing glazes. Ah that's where I had seen these before...the glaze is very CL looking.. 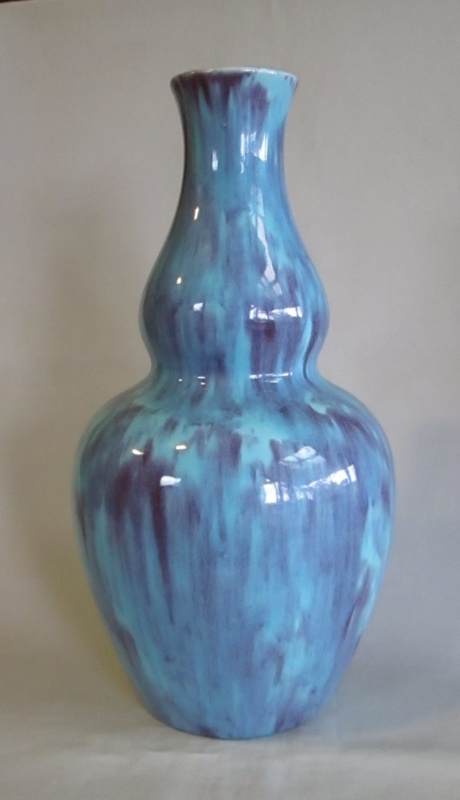 I have a torpedo vase that looks the same glaze. I have also wondered what this little pot is. Similar mark 138 in center with something around the base. 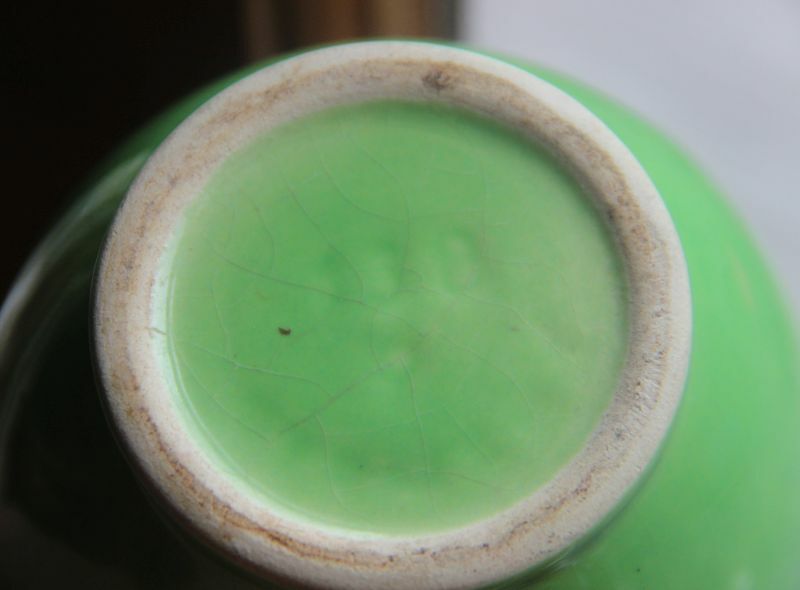 Very CL looking type glaze and some age to it?? I have seen that lettering on early Teal I think. 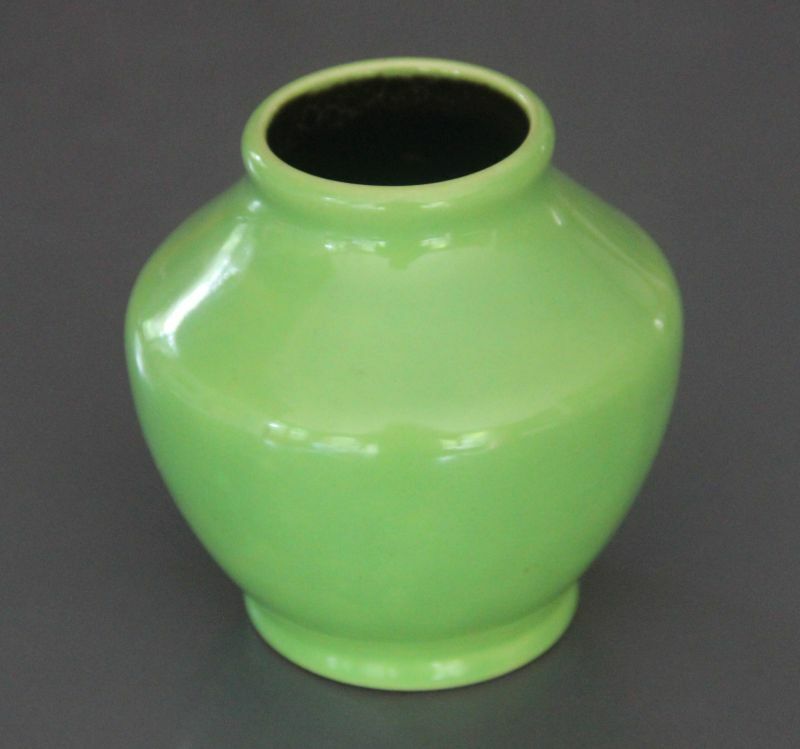 Saw one of these vases at Restore East Tamaki today and photographed it. The glaze is exquisite, the clay is odd and dark from what I could see and I don't think they are Ambrico, Ruskin, Specials, or Crown Lynn. There seem to be quite a few around as they pop up on Trade Me on a regular basis. We just need to find out who made them !! 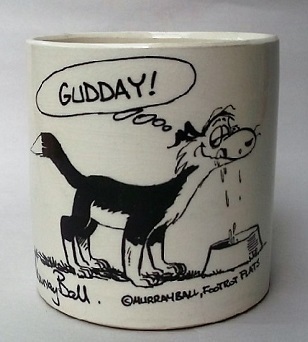 I didn't buy this one as it was too expensive for an unknown maker! Number 98 or 86 ??? Awesum to have this mystery sorted out, when do we think they came to NZ 1920's?